A fireplace is the perfect opportunity to create a central focus in a room. When you think of fireplace mantels, you probably imagine traditional mantels, such as the geometric designs of British Colonial, Art Deco mantels, or the rich details of French country mantels. However, if your room features modern furnishings, a contemporary fireplace mantel can emphasize the look you are trying to achieve. 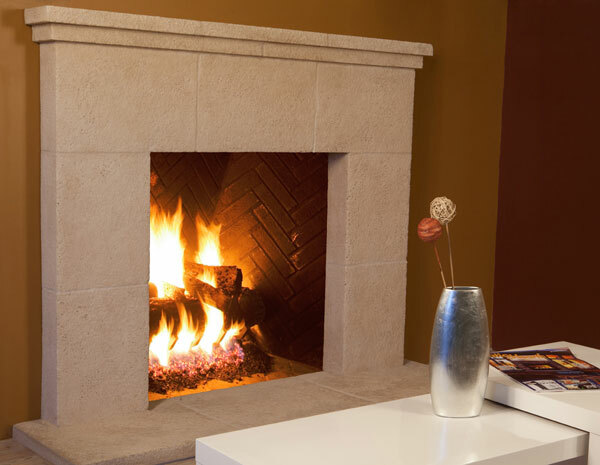 SoCal Fireplace Mantels is your preferred source of fireplace surrounds and mantels. Contemporary fireplace mantels have several notable characteristics that help to set them apart from more traditional mantels. These features include clean lines and simple designs that allow the materials to shine through. For example, the dramatic colors of rich green marble or crimson marble can become lost when the mantel features too many lines or details. The goal of a contemporary design is to reduce the visual elements to make these stunning materials the primary focus. Visit the SoCal Fireplace Mantels showroom in Van Nuys to see all of your options for contemporary or traditional mantels. In addition to mantels and fireplace surrounds, we also offer many options for fireplace accessories as well as architectural precast decorations, such as columns, benches, fountains, statues, and more. Alternatively, call to have a full color catalog of all of our offerings mailed directly to your home. If you do not find a contemporary mantel that suits your needs, our skilled design associates are glad to visit your home or business and to help you design a contemporary mantel that is customized for your needs.